Cesar Luis learned the art of making cheese from his grandmother when he was a boy in Oaxaca, Mexico. 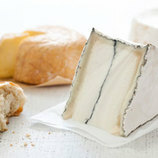 After moving to Wisconsin, he trained as a licensed cheese maker, worked at a dairy and then a cheese factory. 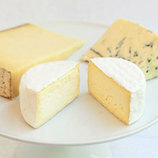 He began making his own cheese once a week at the Roelli plant in Shullsburg, Wisconsin, a three-hour drive from his home. 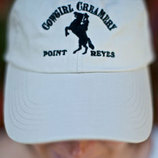 In 2010, Cesar moved the operation to another creamery closer to his home, and now makes cheese three days a week. Oaxaca cheese is a string cheese that is traditionally pulled by hand. Wearing three layers of gloves in order to handle the 100-degree cheese ropes, Cesar and his wife, Heydi, pull the 50-pound ropes through their fingers into thinner and thinner strings before cutting them into sticks. 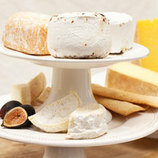 The resulting award-winning cheese has a clean milky flavor, and a pleasant chewy texture.